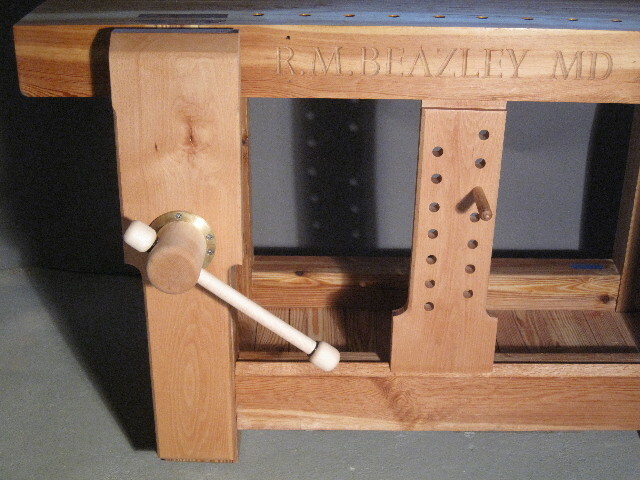 Adding our April 2011 Workbench of the Month from Robert M. B. of Boston, Massachusetts to our Lake Erie Toolworks Blog for ease of access and historical awareness. 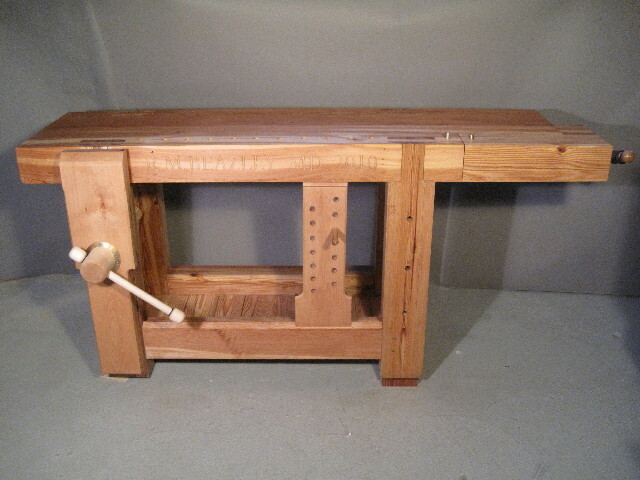 Attached are photos of my recently completed “Roubo” work bench. You will notice one of your screws on the leg vice. It is 6 feet long, not including the tail vice, 20 inches wide and the top is 5.5 inches thick. It is entirely built from Southern Yellow Pine save for European Beech on the leg vice and deadman and some white oak in the tail vice. The wood was purchased from Longleaf Lumber of Cambridge, Ma. having been recycled from demolition of the Davis#2 Mill, circa 1882, in Fall River, Ma. Credit for the carving on my bench is the work of David Calvo of Calvo Studios in Gloucester, Ma.